Who Made this Overhead Signal? I attended the ECLSTS Friday 22 Mar 2019. This is my second show, the other was in 2017. I was told that this was the last year for this show at York and it would be in Timonium in 2020. OK with me cuts my travel time from 3 hrs to less than 1 hour. The show seemed to be well attended. I arrived about 10am and there was still a line to get in. Lots of good stuff to buy. 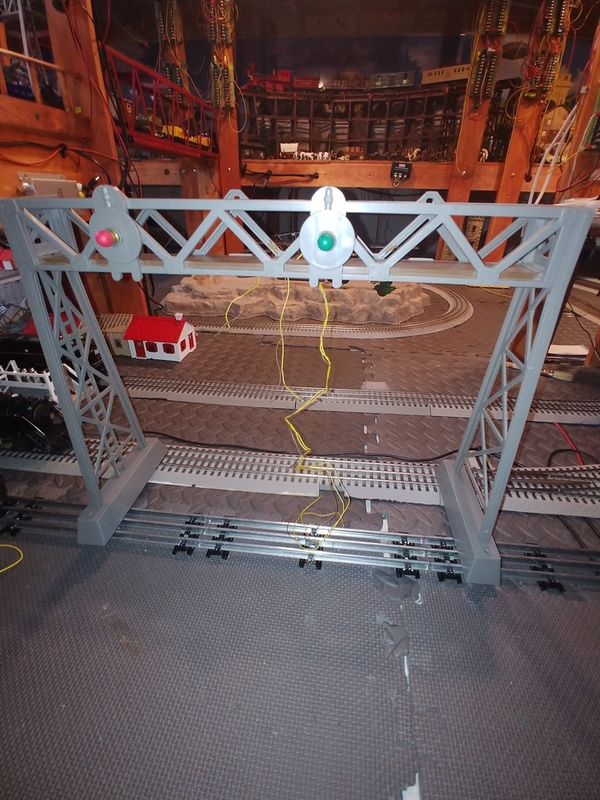 I only managed to purchase this Overhead Signal which needs a little wiring work. 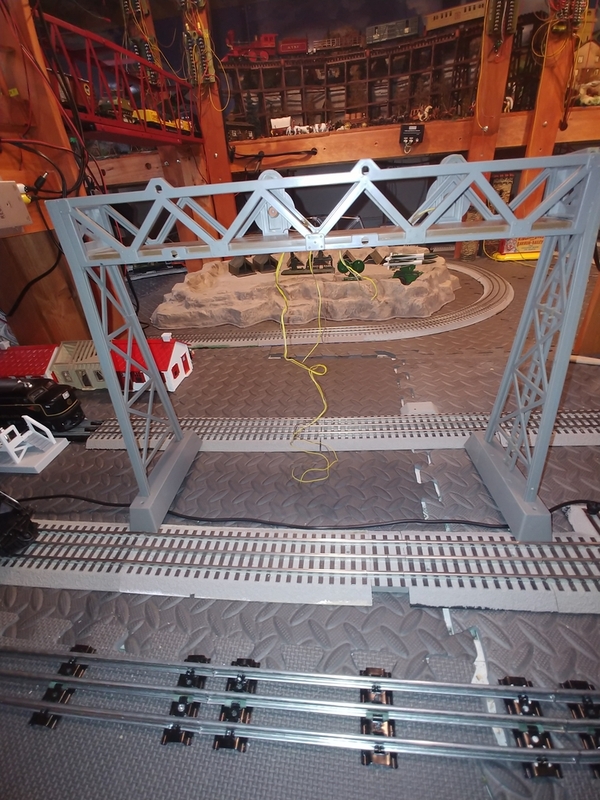 It is also missing 2 signal holders on a one side.But the way I place this in my layout you can only see one side. I do not know who makes this signal. The only marking is Made in Hong Kong. I have another one of these that was more complete and works great. 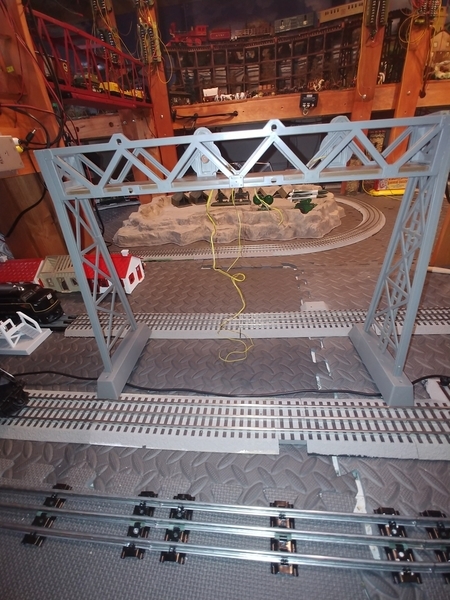 I use them on my Standard Gauge track. I would like to know who is the manufacturer of this signal. Thanks for looking and any help you can provide. It looks G scale to me. USA trains or Aristo-Craft. It may very well be Life-Like, or Pola. Nope, strike Pola, if has made in Hong Kong marked on it.